Students from China, Korea, Vietnam, Laos and Indonesia meet representatives from US schools in their own country for private interviews. American high school representatives join AnB Education in visits to recruit international students. Students have the ability to interview with AnB consultants and high school representatives. By offering the opportunity to meet with the students in their home country AnB Education provides a unique experience to learn about the potential students, their goals, their expectations & their dreams of an Above and Beyond Education. The American high school representatives are given the ability to present their missions, beliefs, courses, extracurricular activities, application requirements and more to the students directly. AnB Education also creates a mock American classroom setting to show interested students what they can expect when they apply to the American school of their dreams. Local education agencies are also invited to speak with the representatives to discuss student recruitment and enhance partnerships. [November] Student recruitment events in Beijing, Chongqing and Wuhan, China. 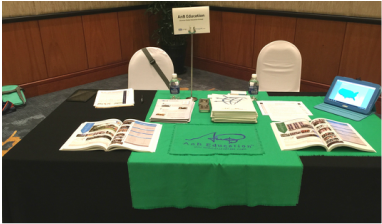 [October-November] Student recruitment events in Hanoi and Ho Chi Minh City, Vietnam. [October-November] Student recruitment events in Indonesia. [October] Student recruitment events in Beijing and Shanghai, China. [October] Student recruitment events in Seoul, South Korea.